Big Drip is one of Kat and Ana's microgames in WarioWare: Twisted! and returns as one of Jimmy T.'s microgames in WarioWare Gold. 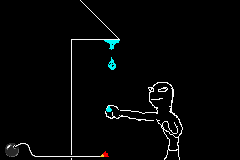 The purpose of the game is to press the button at the correct time to punch the water drop. 1st level difficulty: Punch one drop. 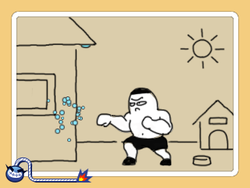 2nd level difficulty: Punch two drops in a row. 3rd level difficulty: Punch three drops in a row. This page was last edited on April 3, 2019, at 22:21.